Before I start my presentation, let me make a short statement. Professor Lech Morawski, who is also participating in this symposium, has been invited here as judge of the Polish Constitutional Tribunal. I would not like that my presence here be recognised as an acknowledgement of th legality of his appointment to this position. Professor Morawski is a renowned legal philosopher and the author of books I have read and admire, but in the light of the case law of the Polish Constitutional Tribunal, Professor Morawski is not a legally appointed constitutional judge, as he was appointed to a position which was not actually vacant. Therefore, I would like to make it clear that my presence here is neither an acknowledgement of the legality of his appointment to this position, nor a recognition of his authority in that position. The main assumption behind Professor Barber’s theoretical construction of institutional self-defence is that every branch of government has at its disposal several institutional tools that can be used to limit the powers of another branch. Those tools can be active in nature (“swords” in Barber’s terminology) or passive (“shields”). As far as the relationship between legislatures and judiciaries are concerned, an example of a legislative sword is the judiciary’s “power to strike down executive or legislative actions that interfere with access to the courts” (p. 562); an example of a judicial shield is that “decisions of the courts are protected from the scrutiny of the Legislature” (p. 561). Professor Barber’s paper is illuminating and his application of the concept of “self-defence” to the context of the separation of powers merits discussion. In his approach, the tools of self-defence include two types of institutional instruments: regular and extraordinary. The former includes virtually all legal powers at the disposal of a branch of government, their common feature being that that their use is lawful. The latter, by contrast, are ad hoc tools which can be instances of mis- or even unlawful use. Hence, in the case of constitutional courts, tools of self-defence include both a constitutional review performed by a court that has been constitutionally empowered to perform such a review, and an ultra vires attribution of a previously non-existing power to the same court by its judges. An all-compassing concept of self-defence would in such a case conflate two completely different groups of actions. Examining the concept of self-defence through the lens of the legal discipline where it originated, namely criminal law, reveals the conflation. The criminal law concept of self-defence is used in the context of an extraordinary and prima facie unlawful action that is ex post factum justified as exceptionally admissible by law. One evokes self-defence as an argument that one is not guilty of harm done to someone else’s life, health or property because the harm was inflicted in the attempt to defend one’s own life, health or property. As such, in criminal law, actions performed in self-defence are extraordinary and prima facie illegal. Thus, one can kill a person in self-defence, but one cannot press criminal charges in self-defence: the latter is already a fully legal action and does not need an ex post factum justification to become so. In the criminal law version of self-defence, an ad hoc balancing of values is present: killing someone in self-defence is still a killing unless one proves that the killing in this particular case was justified, i.e. that the process of balancing two values (in this example the value of aggressor’s life and the value of defender’s life) gives at least an equal result. Regular actions openly admissible by law do not involve an ad hoc balancing – they are fully legal exactly because the lawmaker did the balancing during their enactment and reached a positive result. A case in point is abortion which is legally admissible when the mother’s health is endangered: the lawmaker balanced the value of the mother’s health and the value of the unborn child’s life and decided to give priority to the former. In his conceptualization of self-defence, Barber includes both regular, explicitly legal instruments, and legally doubtful emergency measures. From the perspective of the criminal law concept of self-defence, this conceptualization is over-inclusive. The main problem which arises is that such a conceptualization does not allow for a distinction between those actions for which a branch of government may be held legally liable and those for which it cannot. In the same way that an individual cannot be held legally liable for pressing criminal charges, a constitutional court cannot be held liable for deciding a constitutional case. However, an individual can be held liable for exceeding the limits of self-defence; so too can an executive official be held constitutionally liable for misusing their powers. To avoid conflation of the legally valid and the legally doubtful, my proposal is to supplement Professor Barber’s concept of institutional self-defence with the original elements of self-defence present in criminal law. This would result in treating the explicitly legal means a branch of government has at its disposal not as tools of self-defence but (for want of a better term) as tools of self-assertion (of a branch’s function). The group of sensu stricto tools of self-defence would be then limited to the actions that have no clear basis in law or are even illegal. Those tools are traditionally called preater legem or contra legem actions and are contrasted with fully lawful actions (secundum legem). Two benefits derive from this step. First, it allows for qualifying the actions undertaken by a particular branch of government as the choice of the lesser evil, and this choice constitutes the core of the balancing of interests in the criminal concept of self-defence. The preater legem or even contra legem actions of a constitutional court can be justified when one proves they sacrificed a less valuable legal good (e.g. deference to a constitutional habit) to promote a more valuable one (e.g. the protection of citizens against retroactive laws). Thus, mirroring the elements of the criminal law concept of self-defence in its institutional counterpart enables a more rigorous evaluation of the actions of the various branches of government, and provides more certain grounds for their eventual justification. Second, it allows the application of criteria of assessment that have a long-standing tradition in the criminal law to the context of institutional self-defence. Those criteria include necessity, proportionality, retreat and immediacy (see Boaz Sangero, Self-defence in Criminal Law, Hart Publishing, Oxford 2006). Those criteria are easily applicable to prima facie unlawful institutional actions. However, one cannot apply those criteria to the explicitly legal tools of institutional self-promotion. For example, there is little sense in perusing whether a constitutional court fulfilled the criterion of immediacy in its regular actions of assessing the constitutionality of a statutory act. Nor is there much sense in perusing whether the legislature can be found guilty for not retreating in Barber’s example of dissolving the legislature and calling fresh elections. Naturally, one can assess those actions from the perspective of their political convenience, but not their legal qualification, which is obvious. The optimal way of showing why one conceptualization of self-defence has a better explanatory value than another is to put them into practice and apply both to a real-life event. The Polish constitutional crisis provides a case in point. Let us see how the concept of self-defence based on its criminal law version can explain what happened in Poland and how the culpability of the parties of this conflict can be allocated. Both parties to the Polish constitutional conflict – the legislature and the judiciary – have claimed, directly or indirectly, that their rights have been endangered or that they have been attacked by the other. The legislative branch was first to make such a claim: in the Polish Parliament in November 2015, Stanislaw Piotrowicz, MP, claimed that the main reason behind the first amendment to the statute regulating the operations of the Constitutional Court was the conviction that the Constitutional Tribunal (further: CT) could block the necessary reforms the new government planned to carry out. Identical reasons were given to the new CT statute, enacted in December 2015. During a hearing before the CT justifying the changes to the statute, Marek Ast, MP, stated that it had been introduced because of a “state of necessity”. Thus, the new regulations concerning the CT were perceived by the legislature as “pre-emptive” self-defence. Another example was the statement dated 23 March 2016 made by the Marshal of the Polish Sejm (the first chamber of parliament), Marek Kuchciński, who said that he had to protect the rights of the Parliament against the CT and its usurpations of power ("The rights of the Parliament have been infringed"). One of the alleged usurpations was the verdict dated 9 March 2016, in which the CT struck down the new statutory act on the organization of the CT and proceedings before it, without using the same act as a basis for its decision (more of this issue in the paper presented by Tomasz Gizbert-Studnicki). A further alleged usurpation was the earlier decision of Andrzej Rzeplinski, the President of the CT, not to allow three persons appointed to already-occupied positions of CT judges to fulfill the related functions. The state of necessity was also evoked by Rzeplinski to justify the actions of the CT in the course of the crisis. He did so in November 2016, when justifying why the CT panel deciding on the constitutionality of the regulations to elect a new President of the CT included five judges instead of a full panel. The reason was the impossibility of forming a full panel to decide the case, which arose from the decision by the Parliament and the President of Poland not to accept the appointment of the judges elected by the previous Parliament. The above-quoted statements prove that the parties to the Polish constitutional crisis have perceived it as a clash between the branches of government, and that they justified their actions as self-defence. Yet, if one applies Professor Barber’s original concept of self-defence to the Polish crisis, without making a distinction between the actions secundum legem, contra legem and praeter legem, it is difficult to assess the culpability of the parties to the conflict. As a result, the benefit of using the concept of self-defence is limited. In the first months of the conflict the Parliament undertook a wide variety of actions: it changed the statute regulating the organization of the CT and appointed two judges (lawful actions, secundum legem), brought the changes into force without a vacatio legis period, and nullified the appointment of three judges by the previous parliament (actions contra or praeter legem). It would be an exaggeration to claim that all the actions by the Parliament justify self-defence by the judiciary, and vice versa. According to the concept of self-defence based on the criminal law tradition, only those actions that are legally doubtful justify such a defence. For example, one is not entitled to self-defence against a member of the police attempting to search one’s house, if the action is legal (based on a valid search warrant). This issue is extremely important in assessing the actions of the parties in the Polish crisis. The actions undertaken by the CT in the verdict from 9 March 2016 were expressis verbis based on the Polish Constitution. The decision not to base the proceedings on the statute that was constitutionally assessed by the CT was taken on the basis of Article 195 of the Constitution, and on Art 8 par. 2. The former states that the judges of the CT are subject only to the Constitution while performing their official duties (and not to regular statutes); the latter allows the judges to apply the Constitution directly to the case at hand. As a consequence, the question arises whether the legislative branch was entitled to defend itself against a legal action by the CT. According to Professor Barber’s original model of self-defence, the answer is most likely in the affirmative. Yet, according to the criminal law model, the legislature is no more entitled to self-defence in this case than a house owner is in the case when a legal search warrant is executed. The value of the enhanced concept of institutional self-defence can be seen when one assesses the actions of the participants of the Polish constitutional crisis on the basis of whether they satisfy the criteria of necessity, proportionality, immediacy and retreat. Again, it is difficult to find justification for the actions of the legislative branch in this respect. As it turned out, the unconstitutional changes introduced in 2015 to the regulations concerning the CT (and later criticized by the Venice Committee) had already been planned by the previous Law and Justice government in 2007 (see the article in the Polish edition of Newsweek, dated 10 May 2016). As such, they cannot be justified in terms of self-defence because they fulfil neither the criterion of necessity nor of immediacy. It is clear that a state of necessity cannot last for nine years, and an action planned nine years earlier is hardly an immediate response to an attack. Nor were the criteria of proportionality and retreat fulfilled in the actions by the legislature. Changes to the regulations concerning the CT (which according to the Venice Committee report would paralyse it) were proposed by the legislature six times, in subsequent amendments between December 2015 and November 2016. Despite the CT’s verdict that the legislature was entitled to appoint only two judges in December 2015, the Parliament appointed five. The failure of such actions to fulfil the relevant criteria make them ineligible for consideration as parliamentary self-defence. The above-presented assessment of the actions undertaken by the legislative branch is limited to institutional actions, but one should not overlook the context in which they were undertaken, which further suggest why they could not constitute instances of self-defence. Starting from November 2015, the judges of the CT publicly came under personal attack from politicians. Threats were made to change the seat of the CT, to move it outside Warsaw, and to deprive the judges of their allowances. Such intimidatory behaviour strongly indicate illicit intention behind the institutional actions. Applying the same more exacting criteria to the judicial branch presents a very different outcome. First, it was not the judicial branch that started the attack. As we have seen, the first episodes of the conflict were the legislative branch’s November amendment to the statute concerning the CT, changing the term of office of the President and Vice-President of the Court, and the December appointment of five judges. Those actions endangered the independence of the CT; one cannot treat those actions as self-defence of the legislature against the appointment of five judges by the previous Parliament. If any, that was a political self-defence, not an institutional one. Second, the actions by the CT were proportional and self-restrained. One example is the verdict from 9 March. Both in the oral and written reasons to the verdict, Justice Biernat went to great pains to explain that the CT did not apply the statute under assessment to the procedure of its own assessment in order to avoid a Catch 22 situation (the circularity of assessing the constitutionality of a regulation on the basis of that regulation), and to avoid the risk of undermining the legality of the CT’s own verdict in case the regulation is found unconstitutional (a court verdict issued on an unconstitutional basis is flawed). Another example is the CT’s verdict of August 2016, in which the CT struck down only a part of a new regulation concerning its operations, despite having doctrinal grounds to strike down the whole statute. The fact that the CT exercised constraint in the use of its power is proof of proportionality and restraint on its part. All the above examples show that if anyone taking part in the Polish conflict over the constitutional court is entitled to evoke the self-defence argument, it is the judiciary, not the legislature. The record shows that the Polish Parliament was the aggressor. Subsequent claims that the Parliament was a victim and its rights had be protected were a politically expedient smokescreen devised to mislead public opinion. Actions by the Parliament were clearly illegal in the light of Polish constitutional case-law, and as such constituted an unlawful assault on the independence of the Polish CT. Even the actions that were presented to the general public as self-defence against the judiciary’s assaults on the rights of the legislature appear pre-meditated, gratuitous and disproportionate. Even if those actions had been undertaken in self-defence, they would be excessive and ultimately indefensible. Under the circumstances, the Polish CT and its judges, as targets of the attack, had a right to defend themselves. The instruments used by the CT were either fully legal or were justified actions praeter legem. In the case of the fully legal actions, no resort to the concept of self-defence is required. The admissibility of the praeter legem actions resulted from the context in which they were undertaken. As proportionate and immediate reactions to the risk of losing its independence and/or the possibility to operate in accordance with its constitutional functions, the CT’s actions were paragons of self-defence. As I hope to have shown, the above analysis of some facts of the Polish constitutional crisis proves that if one strengthens Professor Barber’s concept of institutional self-defence with more rigorous elements from its original criminal law version, the already significant explanatory power of this concept grows. 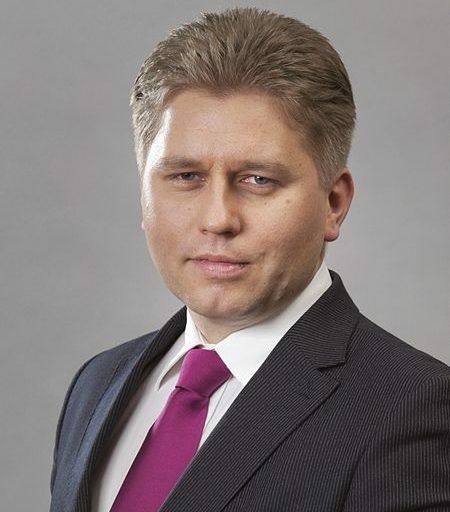 SUGGESTED CITATION Matczak, Marcin: Self-defence of public institutions in the Polish constitutional crisis, VerfBlog, 2017/6/03, https://verfassungsblog.de/self-defence-of-public-institutions-in-the-polish-constitutional-crisis/, DOI: https://dx.doi.org/10.17176/20170603-163008.